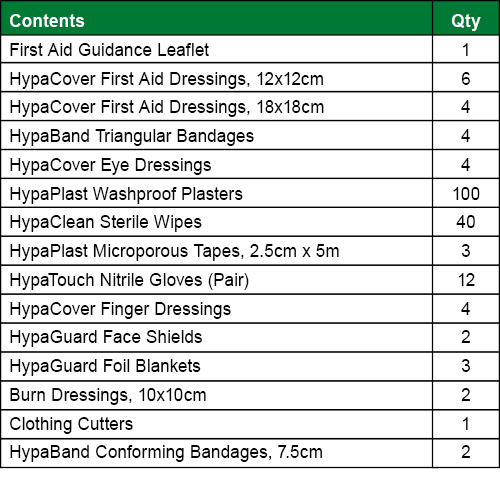 supplied fully stocked, but also comes in a durable hinged case. 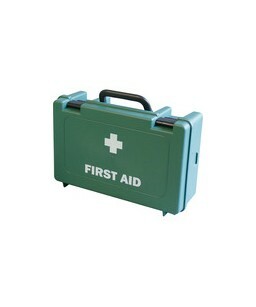 The case has a handle that makes the first aid kit easy to carry to the location of the casualty. 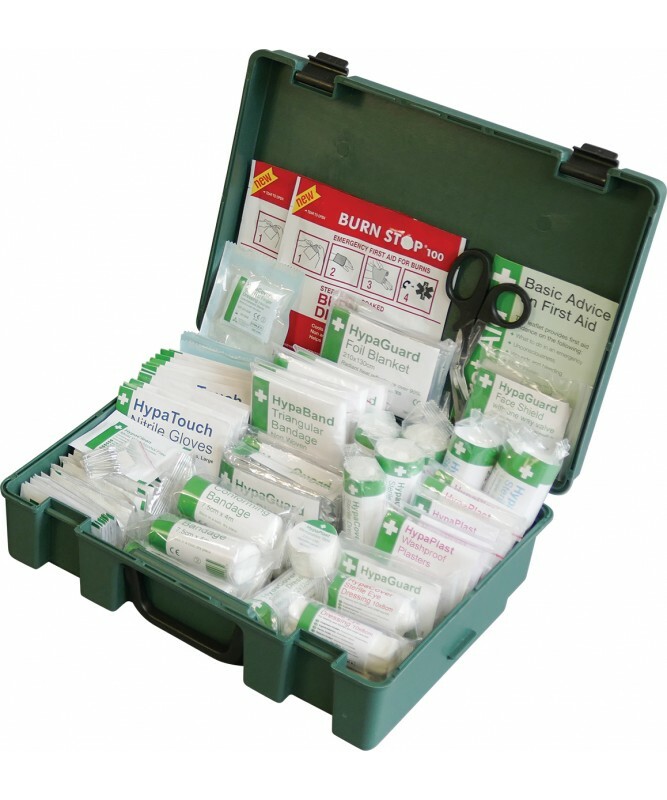 On the case there is a clear "First Aid" marking as well as a white cross which makes the kit easily identifiable in case of an emergency. aid n eeds, however this first aid kit it is a good starter pack.